It's here! 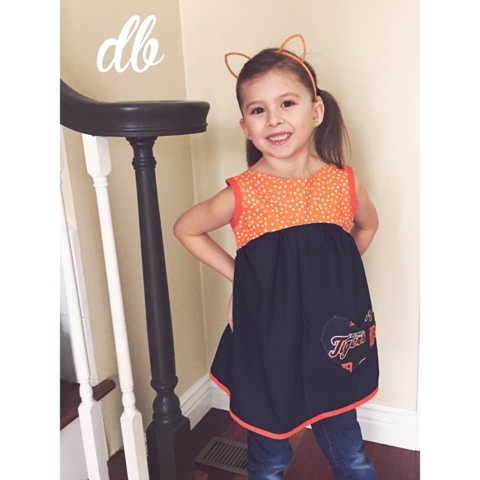 The exclusive, 2016 Detroit Tigers spirit top is NOW available! This Limited Edition "Bree" is a chic top that will keep your girl cheering in style! 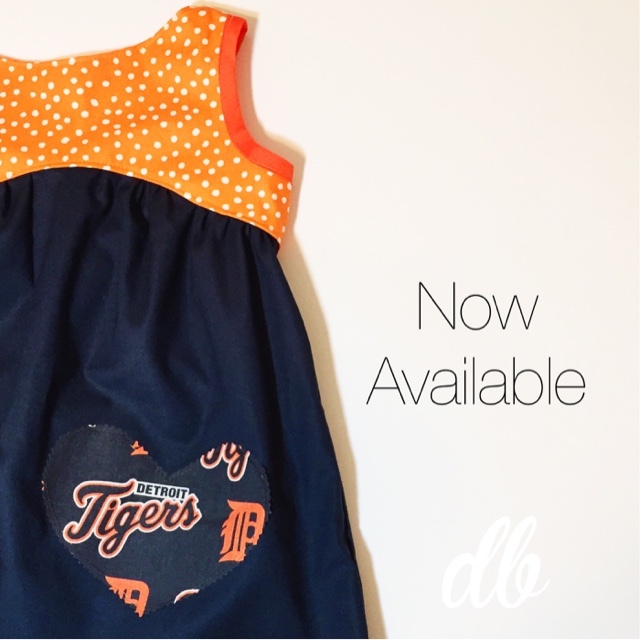 This version of Bree was designed especially for the Tigers fans in navy blue, orange and white. It features a loose, gathered skirt, a fully lined bodice, rounded neckline and stylish "V" back. 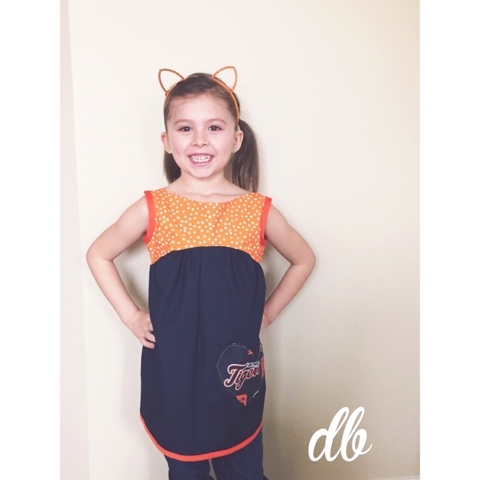 -- My girls love the fit of this top and the handcrafted TIGERS heart applique that embellishes the bodice; I know that your girl will too! 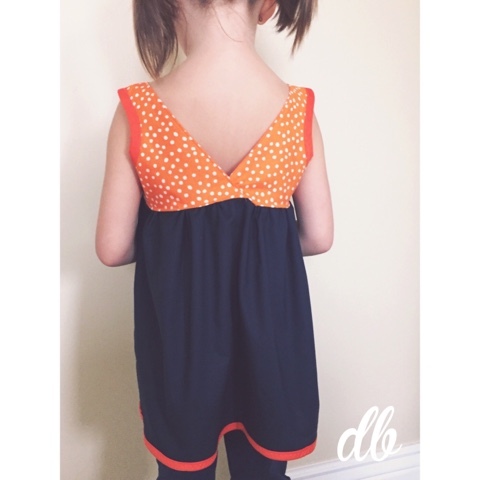 Available in sizes 12m - 8 for $25! All tops will ship before April 1st.